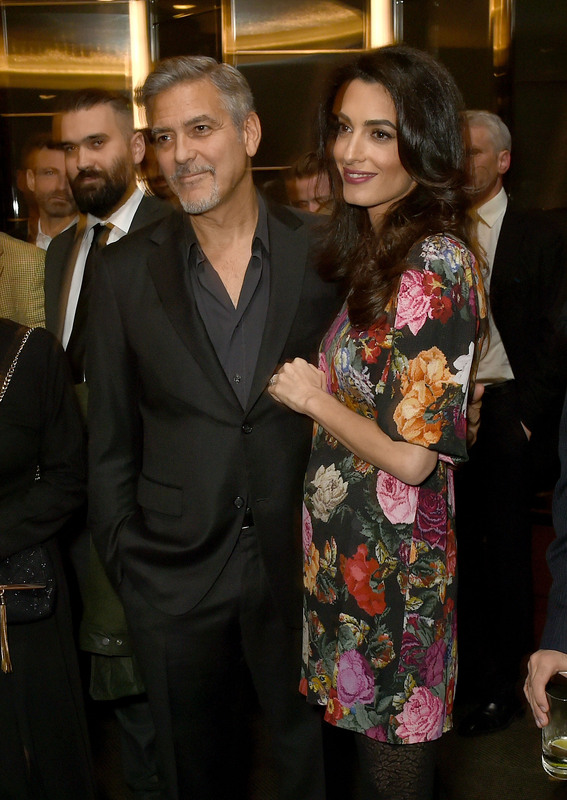 Is there a Clooney baby on the way? Photos of Amal Clooney during a night out earlier this week with hubby George has many speculating about a possible pregnancy. The 38-year-old human rights lawyer wore a Dolce & Gabbana floral shift dress that hit right above her knees. One photo in particular has many wondering whether she's sporting a small baby bump or if it's just the shape of her frock. The loose-fitting ensemble is an unusual choice for Amal, who is frequently seen in more figure-hugging looks. George's wife has stayed out of the spotlight for the past couple of months, making her last appearance back in mid-November as the keynote speaker at 17th Annual Texas Conference For Women. This isn't the first time the power couple has been the subject of pregnancy rumors. 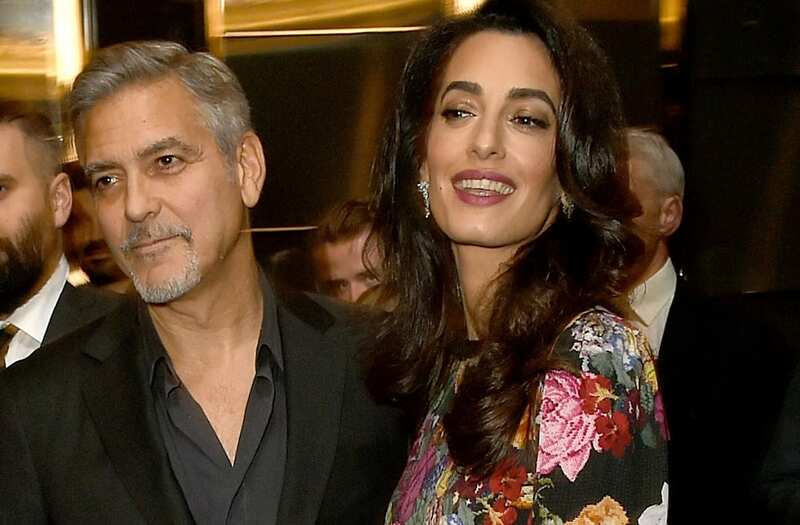 They tied the knot two years ago and the world has been eagerly anticipating the news of a Clooney baby since then. Her famous husband recently made headlines for calling out Donald Trump following Meryl Streep's controversial Golden Globes speech. The Oscar-winning actor backed his former co-star after Trump called her "overrated." "Aren't you supposed to be running a country?" he asked the president-elect.